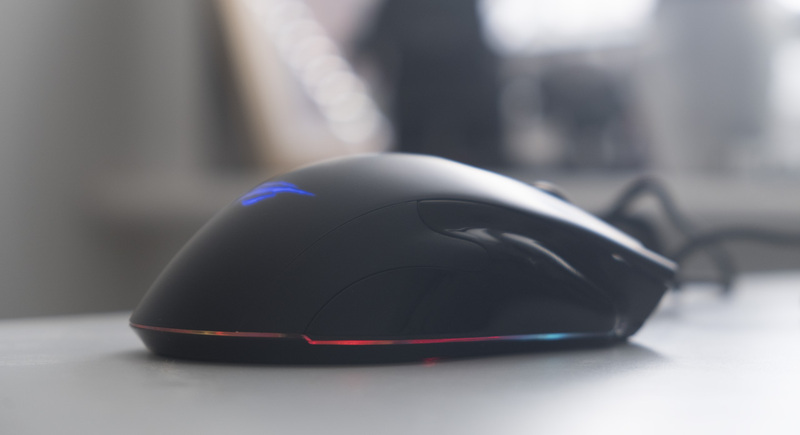 The Havit HV-MS794 is a budget gaming mouse that still manages to include everyone’s favourite feature, RGB lighting. 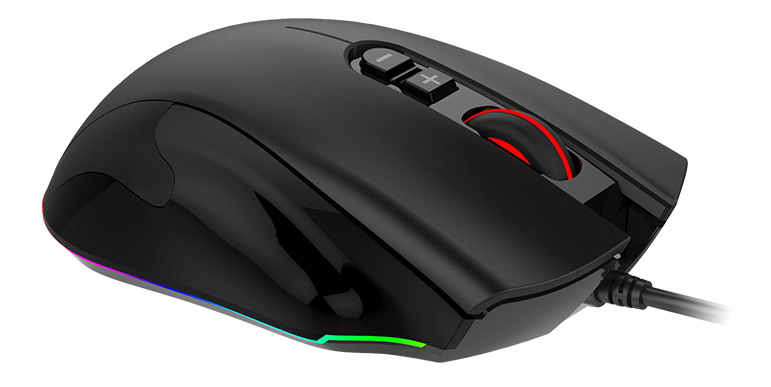 The mouse comes with an entry-level optical sensor, the Avago 3050, and can be adjusted between 500 and 4000 DPI. There are seven buttons, including two on the side and two to adjust the DPI, all of which are programmable using the provided software. For its asking price of $18, that’s a whole lot of mouse. Here’s our full review. The catchingly-titled HV-MS794 has an ergonomic shape, meaning it sticks out a bit on the right side to allow right-handed people a place to rest their digits. Meanwhile, the left side is concave, providing room for the thumb. There are two buttons on the left side, mapped to back and forward by default. These are useful buttons in games, as you can assign functions like grenades, reloading or voice chat activation. There is also a strip of RGB lighting that extends around the periphery of the mouse, including a ring around the concavity on the left side. The right side has no buttons, just a shiny smooth finger rest. 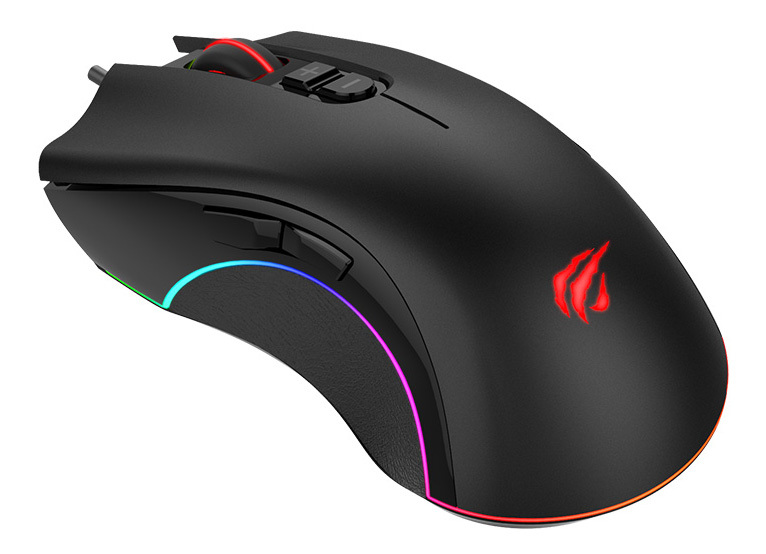 The top of the mouse has a scroll wheel, with RGB lighting in the centre and both sides, and two buttons which are used for switching between DPI levels by default. There’s also a backlit claw-slash logo, which will be covered by your hand during use. The HV-MS794 has its own basic software, available from the Havit website. Here, you can adjust the six DPI levels, each with its own customisable LED colour, between the minimum 500 and the maximum 4000 DPI. You can also choose from 12 different lighting effects, adjust Windows mouse settings and change the polling rate. Unfortunately, the software is severely lacking in some important areas. It’s already bad enough that you can’t set the mouse to 400 DPI, a relatively common setting for CS:GO players, but furthermore you are limited to only multiples of 500. So your choices are literally only 500, 1000, 1500, etc. If you want 400, 800, 1200, 1600, etc., you’re completely out of luck. Given the prevalence of multiples of 400 in all other mice, this seems like a bizarre choice. The Windows sensitivity settings are also weirdly labelled. In Windows and most other mice programs, this is set on a scale of 11, where 1 is the lowest, 11 is the highest, and basically everyone agrees that the middle value of 6 is ideal. Here, the values go 1, 2, 4, 6, 8, which maps onto the standard scale in a really odd way. You aren’t given this list of options either; you have to move along a line with no marked positions in very small steps to ensure you don’t miss anything. It also appears that ‘improve pointer precision’ is checked by default, which is really naughty if it changes your Windows setting when you first launch the program. My recommendation is to stick with the standard Windows 6 / 11 with no enhanced pointer precision, and to change those settings in the Control Panel after you’ve closed the Havit program. The rest of the software is fine. 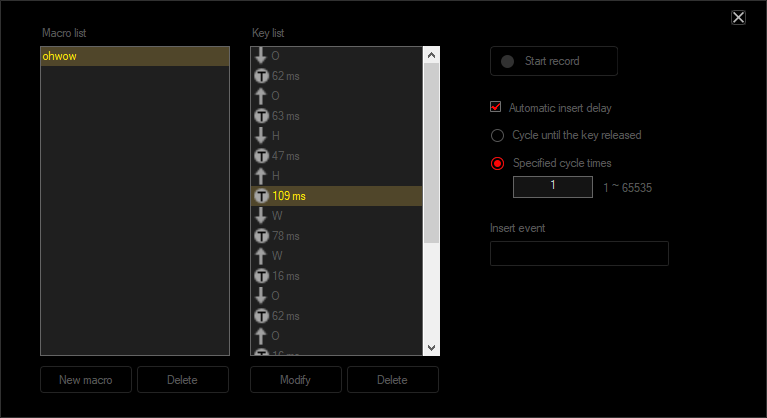 Button remapping works as you’d expect, there’s a rudimentary macro editor and different profiles to swap between if you like to set things up differently for each game you play (not that I’ve ever met someone who has used this feature). We put this mouse to the test in Counter-Strike and Epic’s new take on the successful PUBG formula, Fortnite: Battle Royale. From the moment we took this mouse out of the box, we knew it was a bit special… because there appears to be something loose inside, which rattles around noisily whenever the mouse is moved side to side. This component doesn’t appear to have affected the mouse’s performance, but it’s still not a great first sign when it comes to build quality. Still, the mouse definitely looks good, particularly when you plug it in. 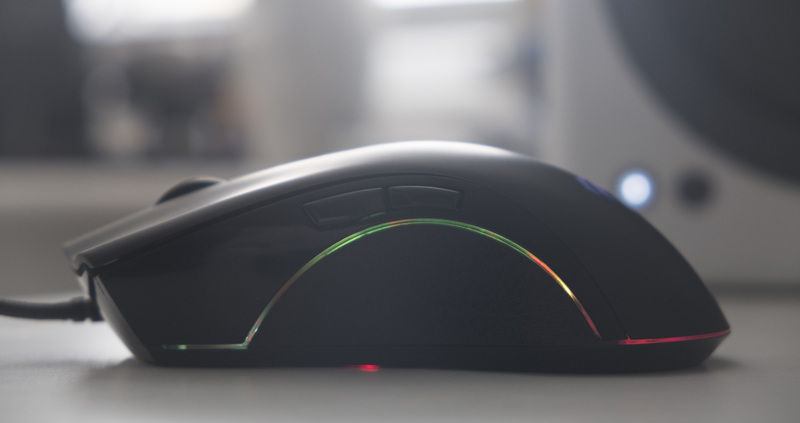 The RGB lighting that races along the bottom of the mouse looks nice, even if it does look suspiciously close to Razer’s Mamba RGB. If you have RGB backlighting and want something to match (if not sync exactly), then this is a nice choice. 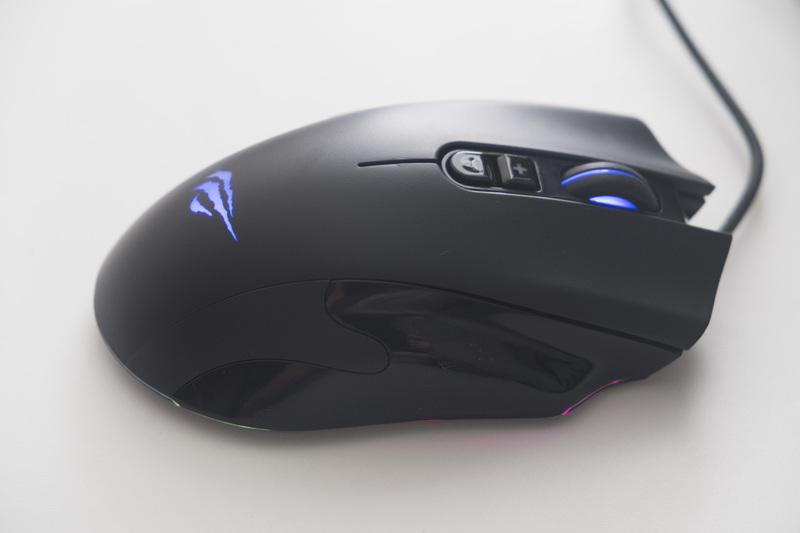 In-game, the MS794 is a little clunky, with a heavy back end that drags on the ground if you pick up the mouse to reposition it (something that gets more common the lower your DPI setting goes). 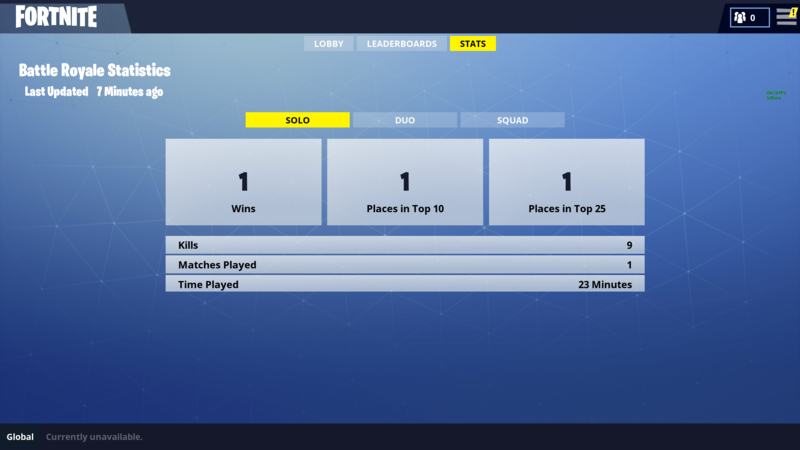 The sensor seems accurate enough, and while I’m annoyed that it’s not possible to choose the DPI settings I’ve used on other mice in the past, the mouse was accurate enough to net me in a Fortnite: Battle Royale on my first game (woo). The mouse doesn’t exhibit any noticeable delay or acceleration. The body of the mouse is quite comfortable to use, although its high weight of 135 grams (170 grams with cable) is certainly noticeable after longer sessions. By comparison, the Sensei 310 I use on a day-to-day basis weighs just 92 grams without cable. I didn’t have trouble tracking targets in Fortnite, but in CS:GO it was a little more of a challenge, particularly when making rapid turns. 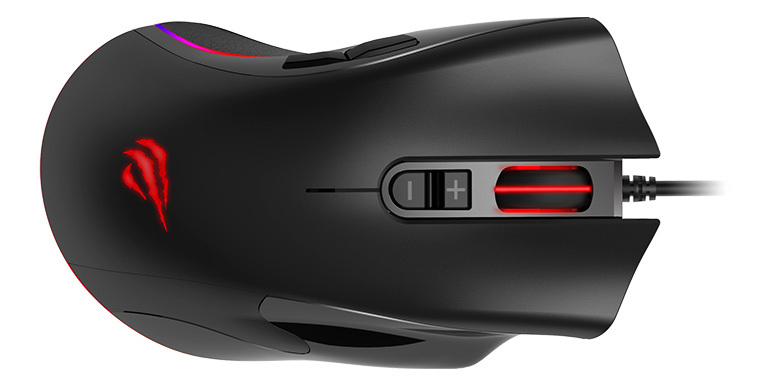 I think this mouse will suit slower-paced games a little better than faster ones, and the lack of low and precise DPI settings makes it a poor choice for CS:GO. The left and right mouse buttons were nice and clicky, as were the side buttons. The MS794’s scroll wheel felt good to use as well, with a comfortingly clacky sound and meaningful differentiation between each tick of the wheel. Finally, the braided cable felt reasonably durable, although I tend to prefer something with a little more flexibility. Its thickness is quite ordinary, and it fit easily in our mouse bungee. Due to the high weight of the mouse cable, we do recommend that you use a mouse bungee (or some other means of lifting the cable) for optimal performance. 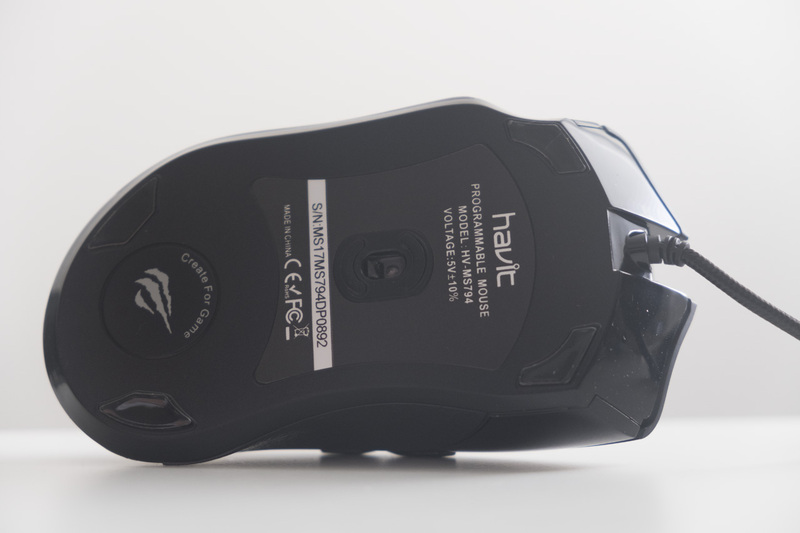 The Havit HV-MS794 is an interesting mouse. If you want something that looks like a Razer mouse, with colourful RGB lighting, and decent performance, then you probably won’t find much better for less than $20. However, I’d strongly recommend choosing a mouse with a better optical sensor without the weird DPI restrictions — something like a SteelSeries Rival 100, Logitech G102 or Corsair Harpoon RGB. They’re a little pricier, but I think the experience you’ll have will be better overall.